Leukemia Fighter! (CML); I Am Dancing and Traveling My Way Through: Leukemia has Prompted Me to Change My Theme Song; Can You Guess the New One? Leukemia has Prompted Me to Change My Theme Song; Can You Guess the New One? For those of you that remember the show Ally McBeal, you will remember that she had a theme song. I LOVED the show's theme song: “Searchin’ My Soul,” by Vonda Shepard. I actually loved everything about that show. Of course, there were many songs that floated around in Ally's head and they changed from time to time, but ever since I was aware that she had one, I just knew that I had to have one, too. I think that Ally's "theme song" was "Tell Him, Tell Him That You Love Him!" It took me awhile to find one that would suit me. Back in 1997 I was married with three kids; two in high school, and a two year old. I ran an in-home daycare with a minimum of eight Lilliputians every day. I managed to keep up with them during the day; and high school football and band, in the evenings. I thought that I was living the American Dream. Joke was on me and I ended up divorced, shortly after my very, traumatic fortieth birthday. It was then that I came up with my very own theme song: “You Can’t Always Get What You Want,” by the Rolling Stones. For an entire decade, it remained my theme song. I didn’t “always get what I wanted, BUT, I Always got what I needed,” even though I didn’t even know I was needing anything at all. More often than not, I got what I needed in an unexpected way. Those ten years taught me to trust in God and to turn my “wants” over to HIM; he determined my “needs.” My theme song served me well. 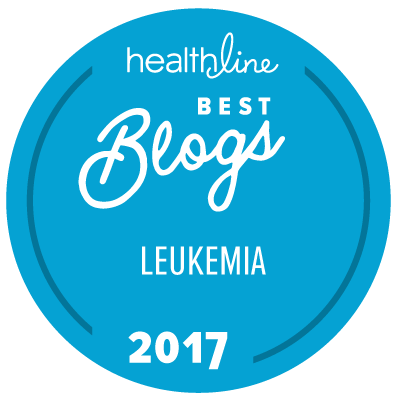 Fast forward twelve years; I have just been diagnosed with leukemia; chronic myelogenous leukemia. Foreign words, which I do not understand. I am in the hospital, getting poked, probed, chemotherapy, leukapheresis and blood; my mind is reeling and my thoughts are jumbled; somewhere out of the clear blue, I change my theme song. It wasn’t a conscious, “Gee, maybe I should change my theme song today,” It was a WHAM; my theme song has changed. Anyone guess what it might be? Just for fun, I think I will hold off from telling you and see if anyone can guess what my new theme song is!